TS-74 Stainless Antiseize is a new thread lubricant designed for stainless, titanium, and other gall-prone threaded connections. It is highly recommended where water washout is a concern, and in sub-sea applications, it is unaffected by marine micro-organisms. TS-74 Stainless Antiseize eliminates wear and galling. TS-74 adheres to heavily loaded rotating, reciprocating or sliding parts. 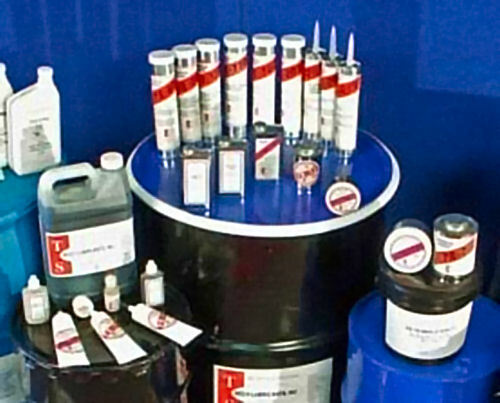 It may be used on any heavily loaded equipment that would normally be lubricated with an extreme pressure grease. TS-74 is a film forming lubricant having a strong polar attraction to metal. During use, a chemical reaction occurs on areas subjected to heavy loading and frictional heat. This reaction creates a resilient, self-lubricating layer in the metal surface that helps prevent further abrasive contact. NPT and all certain other connections can be tightened until a metal-to-metal seal is achieved, but without galling.